Rio de Janeiro: Dope scandals marred what was turning out to be a euphoric build-up, but India's biggest ever contingent would nonetheless be eyeing a historic medal haul when the 31st Olympic Games – the first ever in South America – get underway with the opening ceremony in Rio on Friday. The Indians are eyeing their first ever double-digit medal haul riding on the sheer number of qualifiers this time, standing at 118 now after sprinter Dharambir Singh and shot-putter Inderjeet Singh were told to stay back after being caught in the dope net. Not to forget, the drama that chased wrestler Narsingh Yadav ever since he was selected ahead of double Olympic-medallist Sushil Kumar. Narsingh was caught in the dope storm as well, but managed to clear his name after convincing NADA that he was victim of conspiracy and sabotage. But despite all the controversies that plagued the Olympic build-up, what cannot be overlooked is the improved performances of Indian athletes which makes them strong medal contenders. 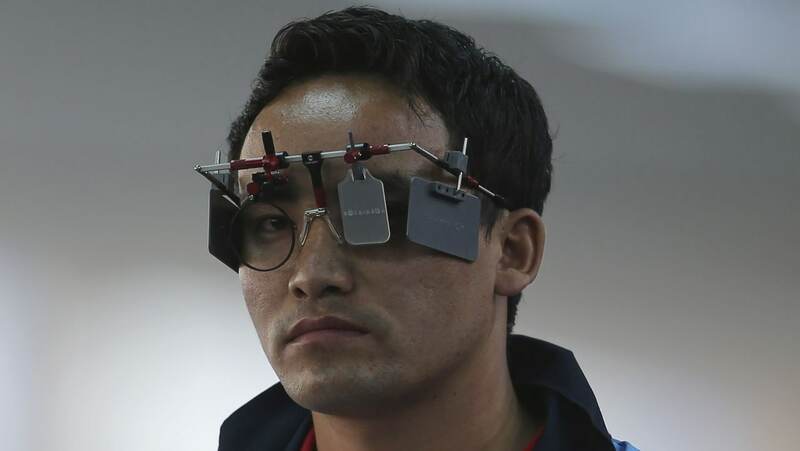 On the first day of competitions on Saturday, India can eye a medal from Jitu Rai, the pint-sized star whose pistol has been shooting medals at almost every event he has participated in. Jitu is the reigning 50m air pistol champion at the ISSF World Cup and the favourite to repeat Abhinav Bindra's gold medal feat of Beijing 2008. Currently ranked third in both 50m pistol and 10m air pistol, the 28-year-old has won two gold, three silver and one bronze medals in the World Cups, an Asian and Commonwealth gold and besides an Asian Games gold. Competing in both the events, the Nepalese-origin shooter is undoubtedly the favourite for a top finish in a star-studded 12-member team. In his fifth and final appearance, Abhinav Bindra, who would be India's flag-bearer at Friday's opening ceremony, would look to end his career on a high even though he has not been in his top form. Bindra will be joined by London Olympics bronze-medallist Gagan Narang, who will compete in three events, in his fourth appearance. Focus will also be on the likes of Heena Sidhu, Ayonika Paul, Apurvi Chandela – the three women shooters. Another big medal prospect for India would be wrestling. While it remains to be seen how Narsingh (74kg freestyle) overcomes the tumultuous build-up he endured, London Olympics bronze-medallist Yogeshwar Dutt (65kg freestyle) would be expected to to do an encore or even better his feat. The eight-member squad – for the first time – will be represented in all the three formats – Men's freestyle, Female wrestling and Greco-Roman. 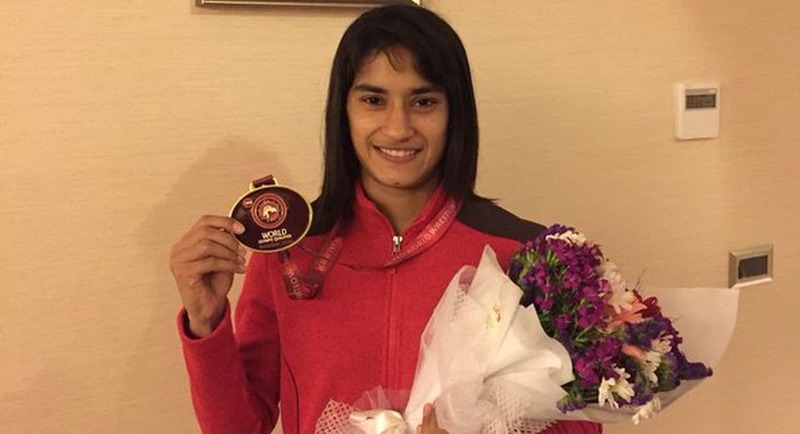 After Geeta Phogat became the first woman wrestler in an Olympics in London, the family will see two representations in cousins Vinesh and (48kg) Babita Kumari (53kg) who will join Sakshi Malik (58kg) to make it three in the ring. 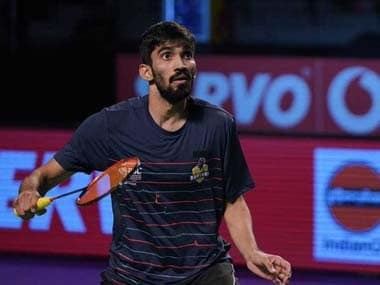 Having defeated the 2014 World Championships silver-medallist Iwona Matkowska en route to sealing an Olympic qualification with a gold medal, Vinesh shows a lot of promise. Inside the boxing ring, a squad of three will carry India's hopes. For a discipline, that had a record eight entries in 2012, this time it will be under-represented with three men in the ring. Of the three, there are high hopes from the duo of Shiva Thapa (56kg) and Vikas Krishan (75kg), both of whom are World Championship bronze-medallists and are ranked sixth in the world. Then there's the senior-most member of the team, Manoj Kumar (64kg), the 2010 Commonwealth Games champion who will be the dark-horse. Having failed to live up to the hype four years ago, the Indian archers have arrived about 15 days early to acclimatise themselves as they hope to make their mark by clinching at least one medal in the women's team event. The experience of L Bombayla Devi, who is competing in her third Olympics, along with the talented former world number one Deepika Kumari and promising Laxmirani Majhi make them a potent force among the Koreans, Mexicans and Italians. Tennis too had a controversial Road to Rio, when Rohan Bopanna preferred lower-ranked Saketh Myneni over the senior-most Leander Paes before AITA's intervention stopped a repeat of London-like skirmish. Atlanta bronze-medallist Paes would aim for his dream doubles Olympic medal in his seventh straight Games – a record for any tennis player. But it is the duo of Bopanna and Sania Mirza in the mixed doubles where India have a better medal chance as they can complement their game styles to match each other's abilities. Badminton too is seen as a medal prospect for India where London bronze-medallist Saina Nehwal and the promising PV Sindhu, who won two World Championship bronze medals in 2013 and 2014. Nehwal, who bagged the singles bronze after her Chinese opponent Xin Wang withdrew with injury in London, will have to overcome her demons in Spain's Carolina Marin, Tai Tzu-ying of Chinese Taipei, and China's Li Xuerui. Her Australia Open Super Series win in June has put her in right stead but it's Sindhu who may be the dark-horse. Gymnastics also holds some promise where 22-year-old Tripura girl Dipa Karmakar became the first female gymnast from India to qualify for the quadrennial event. Having secured the Olympic berth from the same place, Dipa is confident of doing well and has an edge in the Produnova -- a double frontal vault -- with a difficulty rating of 7.0. The record entry of Indians in this edition has been due to the qualification of the men's and women hockey teams. The men's team has had some captaincy rotations in Sardar Singh and PR Sreejesh before the latter was handed the responsibility. But overall the team coached by Roelant Oltmans looked consistent and is primed to make the last eight under the new format. India, who are clubbed with Argentina, Canada, Germany, Ireland and the Netherlands, will be the lone face of Asia in the draw. 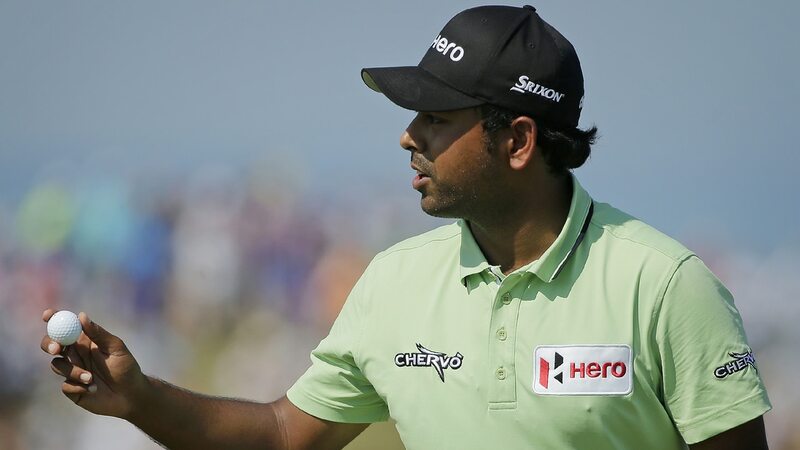 Golf is back in Olympics after 112 years and India have the Anirban Lahiri, SSP Chawrasia in men and 18-year-old Aditi Ashok in women in a field depleted by the pullout of top four -- Jason Day, Dustin Johnson, Jordan Spieth and Rory McIlroy, citing Zika virus threat. "Lahiri sounds good but Olympic medallist Lahiri sounds way better," the world number 62 has said. When the Olympics conclude with athletics, India will only make their presence felt with its biggest ever squad in a discipline where medal is a far-fetched dream. There have been some heroics of Milkha Singh, PT Usha and Anju Bobby George in the last five decades but athletes have only always added to the numbers on most occasions. This year will not be any different and it remains to be seen who among them qualifies for the semifinals or finals. The focus will be on discus thrower Vikas Gowda who is making a third appearance. Also Kerala jumper Renjith Maheswary, who touched 17.30m his best in six years recently, will be closely watched alongwith the trio of steeplechasers Lalita Babar, Sudha Singh and marathoner OP Jaisha. Spotlight will also be on the gritty Dutee Chand who is back on track after winning a landmark gender case against the IAAF and has become the first Indian sprinter to qualify for the Olympics in 36 years. This year will mark the debut of rugby sevens in which teams are made up of seven players instead of the usual 15, while each half is reduced to seven minutes from the usual 40. India will also be competing in judo, rowing, swimming table tennis and weightlifting making in the ultimate show on the earth featuring 207 countries, 28 sports in 41 disciplines. In London 2012, India had doubled Beijing's tally of three and it remains to be seen whether they can sustain the same growth rate despite the obstacles.